This article is 2746 days old. Don’t be alarmed if you’re driving down Howard Avenue this Saturday and a giant animal approaches your car asking for money. One of the Humane Society’s many volunteers will be dressed as stray animals, taking to the streets to relieve you of any loose change you have that you may want to donate! Strays on Street Corners will be on Howard Avenue between the E.C. 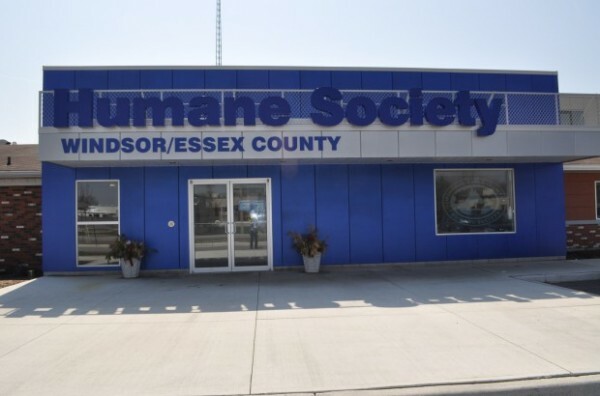 Row Expressway and Cabana Road from 9:30 am to 4:00 pm on Saturday, October 15 and Saturday, October 22 collecting money for the Humane Society’s Spay/Neuter clinic. On Saturday, October 22 only, volunteer “strays” will also be found at the LCBO stores at the Roundhouse Centre, Manning Road, Walker Road and Lauzon Parkway; at the Canadian Tire Stores on Walker Road and Tecumseh Road @ Huron Church, and at the Superstore on Dougall Avenue.